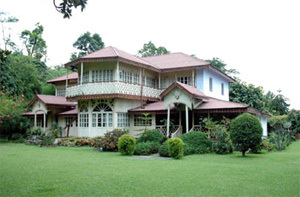 Places to see in Tooruk: The focal point of attraction in Tooruk is the Heritage Home, an age-old estate built amidst acres of exotic varieties of flora and fauna. You will be amazed by the hospitality of the landlords of the Tooruk Estate. 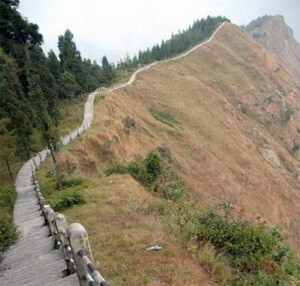 Another attraction is the razor edge cliff of Taraiy Bheer from where you can enjoy panoramic views of Rangeet and Teesta rivers flowing 4000 feet below, distant Darjeeling and beautiful Kalimpong perched on the saddle between Durpin and Delo hills. There are view points along the Taraiy Bheer cliff built for the tourists to enjoy mesmerizing sunsets. Nearby attractions around Tooruk: Arrangements can be made from Tooruk for some enjoyable trips to the nearby tourist spots in Sikkim like Namchi, which is famous for the 135 feet high statue of Guru Padmasambhava in Samdruptse Monastery. Things to do in Tooruk: Bird watching is one of the major activities of the visitors at Tooruk Estate. 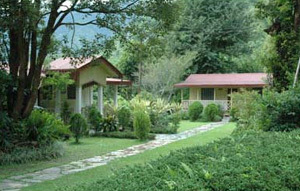 You can savor the sight of some exotic variety of birds like Oriental White Eye, Red Vented Bulbul, Owl and many more. If you have an appetite for adventure, then go for a White Water Rafting trip down the Teesta River. You will thoroughly enjoy the roller coaster ride along the roaring Teesta River. The place is also ideal for short trek along the back hill slope, to Rani Ban, dotted with emerald green vegetation and medicinal herbs. The humming of the bees along with the twittering of the birds coupled with the exotic aroma of the wild flowers creates a mystical environment in Tooruk. Take a stroll through the village path and savor a glimpse of the simple life style of the local people. However, if you are not much an outdoor person, just relax on the lawn of the Tooruk Estate and watch the performance of the village folks to the rustic music in the evening. How to reach Tooruk: Drive for 30 minutes from Malli Bazaar to reach Tooruk. Malli Bazaar is two and a half hours drive from Siliguri. Best time to visit Tooruk: You can make a trip to Tooruk any time of the year. Lodging and dining facilities in Tooruk: Tooruk is a private estate spanning 9 acres and the heritage home is the only accommodation here. 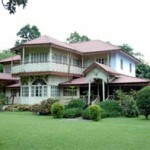 There are separate cottages having accommodation for a total of 12 people. There are no telephones or television in the cottages and who needs them in such a tranquil paradise. However, for all those who simply cannot separate themselves from civilization, there is a Common lounge area in the main house where you can avail a Television. Delicious homemade dishes, prepared from organically grown fresh vegetables and fruits are also served to the guests. Eggs and chicken also constitute a part of the menu.